Supernews keeps it simple. 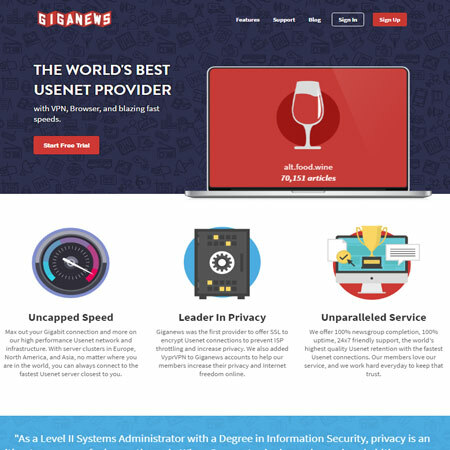 We offer Unlimited Usenet. Unlimited Usenet means Unlimited Access and Unlimited Speed. We don't offer confusing plans with tiered or metered rates. We focus on offering the most value with a simple price. We offer: one price, one plan. 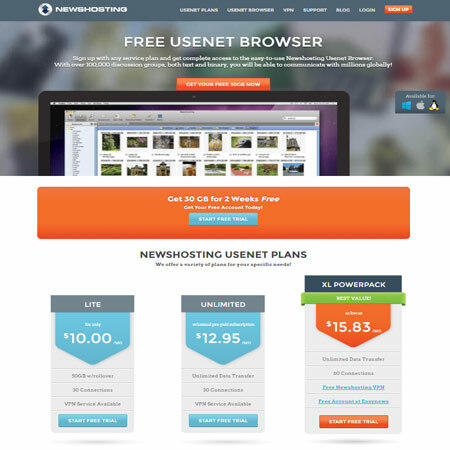 - Unlimited Usenet ? No GB or Speed Limitations! 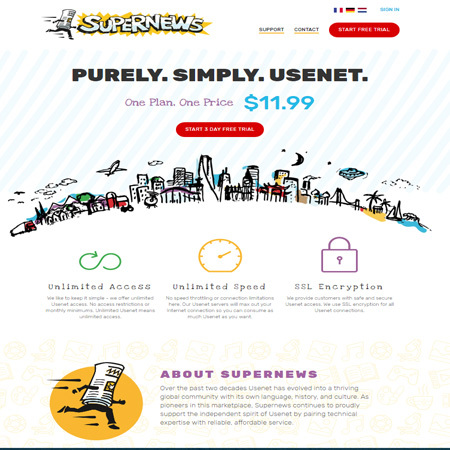 SuperNews offers a FREE trial of their services. Please be sure to check the terms and conditions of any trials.